Lil' Blog and More: Zubels Review + an Awesome Discount! I have a new obsession. I first saw Zubels about 2 months ago - And it was love at first sight. Seriously. Zubels are the cutest toys, ever. What makes Zubels unique, is that they're all hand knit, made with love, 100% soft organic cotton yarns - That use eco-friendly, low impact dyes. So you have a safe product, that every baby, or child, is sure to love. One thing I really love about Zubels, is that they do not have a small, limited selection. 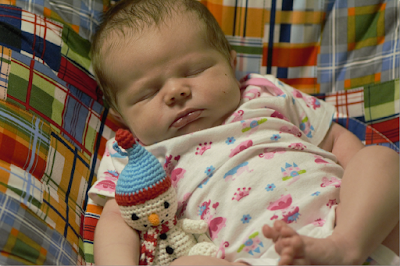 They have toys for all different ages, and they have toys for all different seasons. The have selections for every holiday, and then regular, cute designs, that are good for any time. For my review, I received an adorable selection of Christmas goodies. We received an adorable reindeer sweater, a lil' dimples snowman, and a little elf girl. The Lil' Dimple is perfect for her now - Lil' Dimples are so tiny, and perfect - And so cute to have around, for the holiday season. 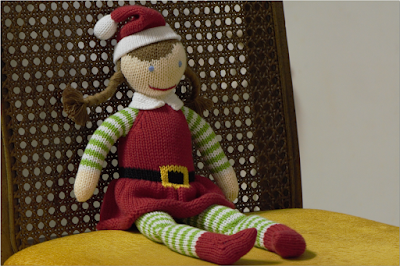 The knit little elf girl doll is also adorable - But I think we're going to keep this one wrapped up, and give it to her next Christmas. The knit dolls are a little bit taller, so next year, when she's a little bit bigger, I know she'll really love her elf girl. The reindeer sweater was also super adorable. Unfortunately, Millie is a little small for it - So she probably won't get to sport it, this holiday season - But one of my cousins just had a baby a few months ago, and she also lives up north, so this sweater will be a perfect gift for her little boy. As you can see, it's a little big on Millie, lol. 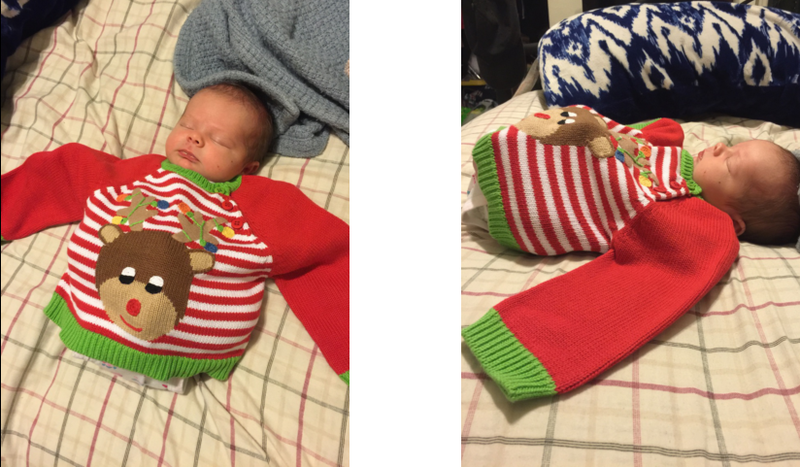 I was a little sad, that it didn't fit, but I'm sure I'll be getting her a sweater soon enough. I'm already impressed with the knitted quality, and the adorable design + there is a really nice selection of sweaters available, that I know little Millie would look adorable in. Another thing I liked about the sweater, is that it has 3 small buttons by the neck hole, so you can unsnap them, to make dressing easier. Millie HATES getting dressed, and we love making the process as easy as possible - And that's what these buttons do, because the sweater just slips right over, with ease. Overall, I am absolutely in love with Zubel's. They're my new favorite thing, and I can't wait to add to my collection! There is already a little gnome, that I have my eye on : )! Just in time for the holidays, Zubel's is also having an awesome sale right now - If you use code SM25 you can save 25%! Such an awesome deal! Be sure to take advantage of there holiday products too, while the discount is live. Zubels make amazing gifts for every little one. The sweater does look pretty and I'm sure it'll fit little Millie perfectly in a few months. The elf girl doll is cute. It would make a lovely present for Christmas. These are the cutest knit items! I love the dolls and the sweater is so darn cute on her!! Love this doll. My great grand daughter is so into dolls at two and a half so this would be perfect for her. The sweater is cute also. 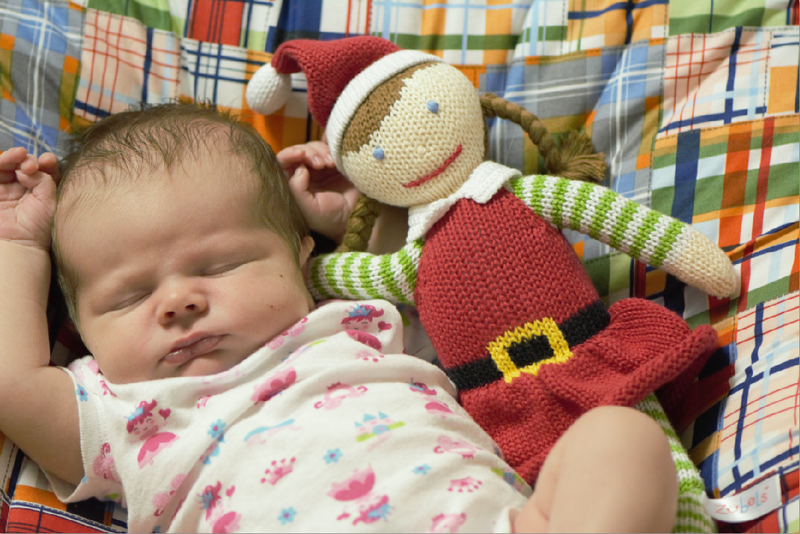 Aww how adorable is the elf girl, shame about the reindeer sweater but am sure she will be fitting in no time at all. Oh my gosh those are so cute!!! My daughter would love the zubels! The dolls look so cute. The sweater swallowed you daughter. Depending on size, she might be able to wear it next Christmas. Hold it up to something a long sleeve shirt in 18 months. Ah! They're adorable! That sweater looks so cute on the baby. Sometimes we take for granted the hard work and "love' that goes into handmade things, but those are really the best things to have. Lol aw my gosh how sweet is that sweater! I love that you put it on her. And those toys, so perfect for a little one. I love the little doll. The fact there are no buttons or anything on it the baby could choke on makes it a perfect gift for a tiny one.Toys can be so dangerous anymore. Aww this is adorable. Look how comfortable he is sleeping with that sweater on, haha! Cute! This are indeed adorable items from Zubels and I will have to check them out. Your baby girl is so adorable and I love the photo of her with the sweater on. These would make great gift ideas indeed. Thanks for sharing them. I love this company. I didn't realize they made clothes too! So cute! What a great site, it is so cute. 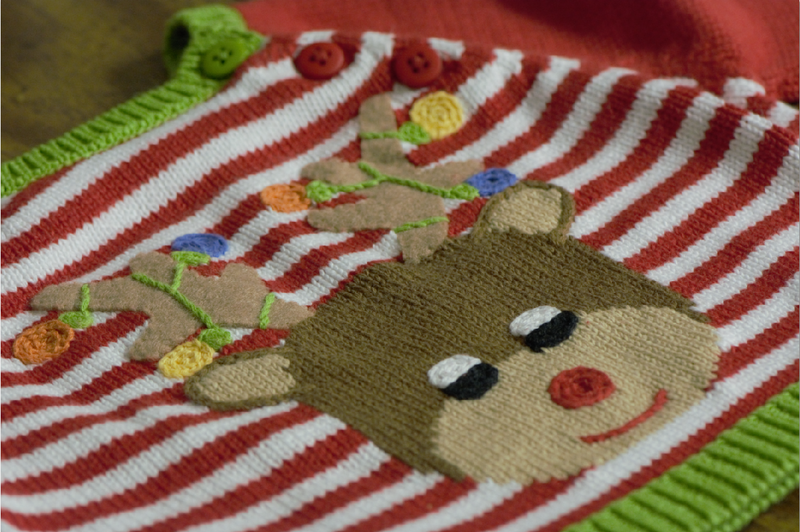 I am in love with that reindeer sweater! Really cute stuff, I really like the snowman. Thanks. Yes!! I totally agree and love them too!! My son has the monkey with the mowhawk and he plays with him all the time!! He is SO SOFT!!! And just so super cute!! Was the sweater the same softness!!?? These are so adorable. I have never heard of Zubels before now. Thanks for sharing about it. Great photos too! THis sweater is adorable and it looks big enough for Millie to wear it next year. I love the doll too. The dolls are adorable! How perfect! Thanks for sharing! I've seen so many of the cute Zubels toys online that you can't go wrong with any of them for yourself of for a gift. Kids always grow into those big clothes and I'd be tempted to keep it so she could wear it later. The toys are really cute. The baby is so adorable.